Indigenous language tools powered by machine learning. Play around with the API and start building your next te reo Māori application. Usage is free while we're still working on improving machine accuracy. 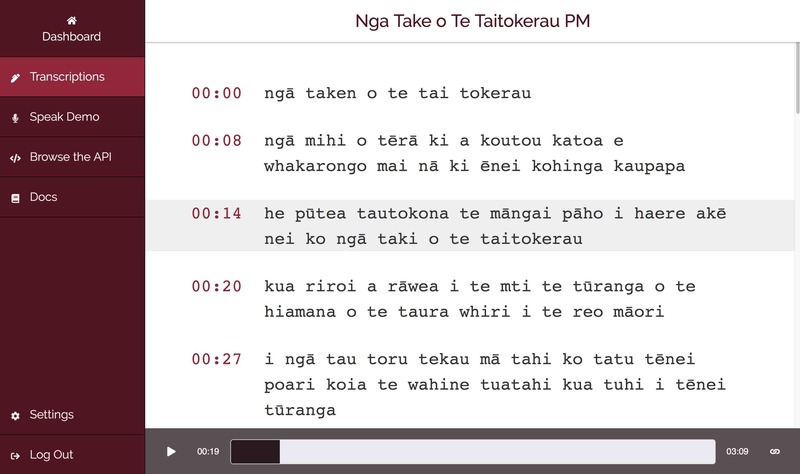 Use our Transcription Tool [beta] to speed up the time it takes to transcribe te reo Māori recordings. Our tools auto-magically cut long form audio for captioning, and you can download captions for use in your production work flow. Leverage the power of speech recognition and build the next generation of te reo Māori applications. 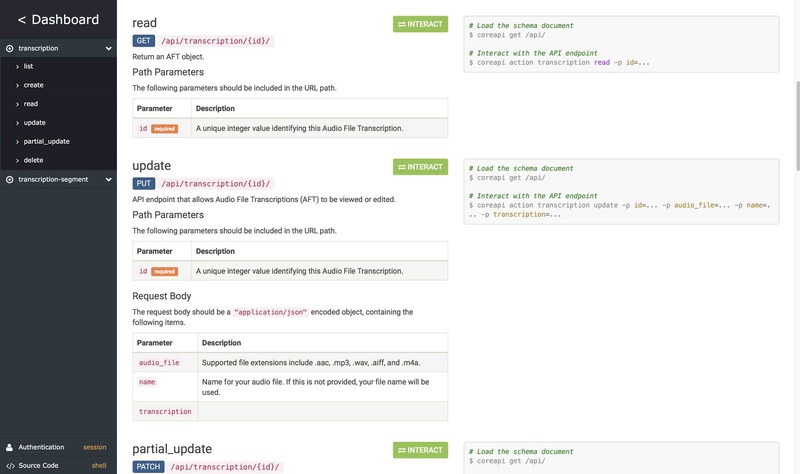 Our API provides basic speech recognition at a ~15% word error rate. Sign up today and start using the api. Get in touch if you're looking to build embedded applications with our language tools. All of the data collected at koreromaori.io and our sister site koreromaori.com is collected under our Kaitiakitanga License. Indigenous people do not have a concept of private ownership of land and resources, that's a Western construct by which many of us are required to abide. We see ourselves as the caretakers of our environment and society. Likewise, when we gather data to improve our services, we're taking care of the data given to us, and we follow tikanga (cultural protocols) when we need to make decisions around using data or providing access to data. All content collected at koreromaori.io falls under the Kaitiakitanga License.